Needles is CEO of ANNUITAS. Prior to this role, he spent four and a half years serving as Chief Strategy Officer and is the architect of the company’s core Demand Process methodology. He is an expert in helping companies build buyer-driven Perpetual Demand Generation Programs and transform their lead-to-revenue processes to drive profitable revenue growth and build sustainable brands. Prior to joining ANNUITAS, Needles was Chief Strategy Officer at LeftBrain DGA, a Silicon Valley-based demand generation agency, where he authored the book Balancing the Demand Equation: The Elements of a Successful, Modern B2B Demand Generation Model. Before that, he was the Director of Field Marketing and B2B Marketing Evangelist at Atlanta-based Silverpop, a marketing automation company acquired by IBM in 2014. Prior to Silverpop, Needles spent four and a half years as the Vice President of Development and Marketing for technology industry analysis firm The 451 Group. Jennifer has nearly twenty-five years of experience in driving Demand Generation efforts for clients ranging from Fortune 500 companies in the US and Europe, to governmental agencies and small start-ups. Having worked as a client, a client agency and an agency owner herself, Jennifer brings a unique and all-inclusive perspective to her approach. At ANNUITAS, Jennifer leads the Demand Process Strategy Practice Area, ensuring that account teams are building best-in-class programs for global enterprise clients. 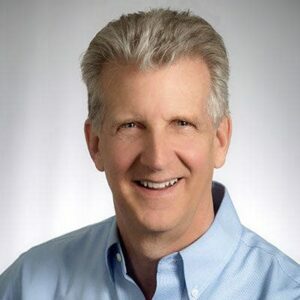 Jim has over 30 years of management experience, including senior leadership positions (CEO or EVP), with specific focus on building high-performance executive teams, and a passion for leadership development and executive coaching. As Chief Operations Officer of ANNUITAS, Jim delivers financial and strategic guidance to accelerate the success and growth of the company. Jim is the also the founder and CEO of Executive Excellence, a consultancy to CEOs presidents and business owners, that focuses on strategic planning and executive leadership development. Jim received his undergraduate degree in Human Resource Management from Spring Arbor University (SAU), Spring Arbor, Michigan. He recently served as Chairman of the Board of Trustees for SAU. The 2016 edition of U.S. News and World Report’s America’s Best Colleges ranked SAU in the top tier of Midwestern regional universities. Lauren has more than 20 years of B2B marketing experience, driven by a passion for driving business outcomes with brands that are ready to engage with customers in a way that is both educational and supportive of buyer needs. Specializing in supporting companies through innovative solutions based on deep buyer (and seller) insights, Lauren is focused on relationship marketing and helping clients to achieve growth objectives. Lauren has partnered with some of the world’s most respected and innovative companies, including Adobe, American Express, GE, Google, HP, IBM, LinkedIn, Microsoft, Oracle, Salesforce.com, Starwood Hotels, Xerox, and dozens of others. Experience includes insights-driven marketing, account-based marketing, marketing automation strategy and execution, sales and marketing alignment and B2B demand generation. Jason Stewart leads the ANNUITAS Content Marketing practice, and has more than 16 years of experience in B2B marketing at both private and public companies. Prior to ANNUITAS, Jason was Director of Marketing for Demandbase, where he was named one of marketing automation’s key influencers in Marketo’s Definitive Guide to Marketing Automation and developed his expertise in Account-Based Marketing. Focusing on content marketing and strategy development, Jason’s award-winning work with clients is focused on developing content models based on extensive research into the buyer’s journey. Jason also has a deep understanding of the marketing technology space, having founded the San Francisco Salesforce.com User Group and as one of the first 500 people in the world certified as a Salesforce.com administrator. Jason graduated with a degree in English from Rutgers University. 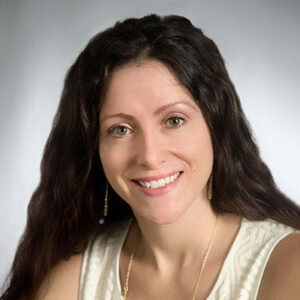 Jenny Robertson is an experienced technologist and marketer with over 10 years of experience in the field. As Vice President of Marketing Technology for ANNUITAS, Robertson leads a team of technologists to assist clients in their demand generation strategies and implementation of marketing technologies. Robertson joined ANNUITAS in 2014 as Lead Marketo Architect. 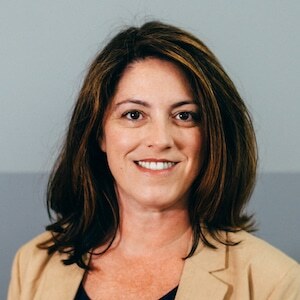 Prior to ANNUITAS, Robertson spent several years working in technology across several industries before shifting her main technology focus to CRM and marketing automation for the last eight years. 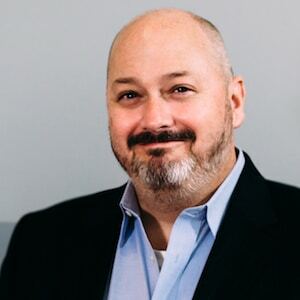 Robertson is deeply involved in the marketing automation and local Atlanta marketing community as a five-time Marketo Champion, Marketo Certified Expert, and a Certified SFDC Administrator. 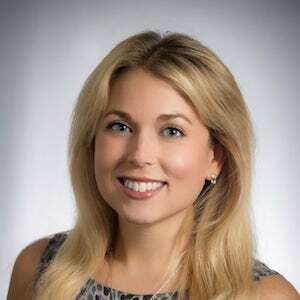 She has lead the Atlanta Marketo User Group for the past three years. Robertson has a bachelor’s of business administration in Finance from the University of Georgia. Erin is a results focused marketer with more than 10 years of experience creating best-in-class, revenue driving, digital demand generation programs for diverse organizations. Well versed in demand process, Erin understands the theory and practice of manufacturing meaningful 1:1 digital relationships on a mass scale. Erin is particularly enthusiastic about program Optimization, and thoroughly enjoys both the art and the science of maximizing program returns and attaining next-level results. 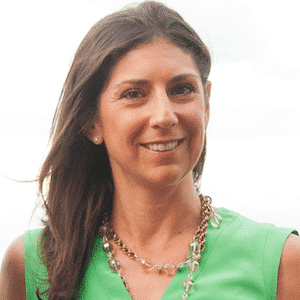 In addition to her work leading various account teams at ANNUITAS, she also drives the on-boarding education of internal talent as it relates to the ANNUITAS Core Methodology and the business goals of our firm. 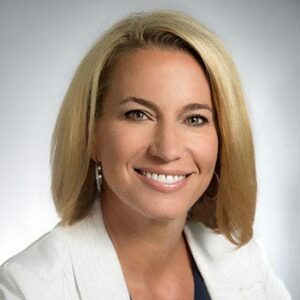 With ANNUITAS since 2012, Erin has created, implemented and optimized strategies for LENOX, Avery Dennison, Schneider Electric, MedAssets, Google, TwentyEighty Strategy Execution, Airbnb, and Travel Leaders Group. With a diverse background in both B2B and B2C industries, Kendra has over 15 years experience in driving marketing and demand generation programs for small businesses to Fortune 500 global enterprises. At ANNUITAS, Kendra leads a team of Strategy consultants that support clients in developing perpetual demand generation programs through the right mix of strategy, content and technology. Kendra has her BS in Advertising from the SI Newhouse School at Syracuse University. 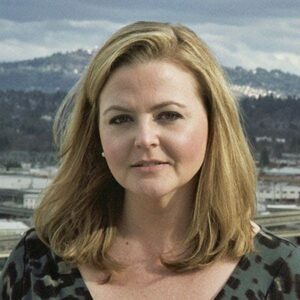 A 20+ year marketing veteran, Lee Anne has been at the forefront of demand generation for over 10 years. With experience ranging from startups to Fortune 500 and multinational companies, she is a real-world marketer who specializes in demand generation process engineering, buyer insights and building relationships between sales and marketing that help them deliver high value revenue-generating programs together. In her role at ANNUITAS, Lee Anne serves as part air traffic control and part strategy Sherpa as she leads clients and their teams through the transition to perpetual demand generation. Lee Anne has a Bachelor of Arts in Journalism from The University of Georgia. Scott G. Parent has nearly a decade of marketing experience with half that focused on data science and marketing analytics. He approaches marketing from the perspective of a behavioral economist, believing that a thorough analysis of buyer incentives and pain points yields the best strategy for influencing demand. Driven by a passion for problem solving, Scott leads a team of talented data scientists and analysts determined to find the signal-within-the-noise of client’s sales and marketing data. Scott and his team collectively monitor over $1 billion in active client Opportunity pipeline. His team’s fundamental approach to marketing attribution has been able to credit hundreds of millions of dollars of Pipeline and Revenue to their specific marketing programs and activities, allowing for the construction of hyper-specific marketing ROI analyses. Scott graduated Emory University with a BA in economics. While at Emory’s Oxford College, he received the Excellence in Economics award, which is given annually to the highest achieving student in the program. His perspectives on data science and analytics best practices have recently been cited in the Washington Post. Adam B. Needles CEO and Principal. Want one of our experts to speak at your event? ANNUITAS Executives are sought after to speak at key industry events here across the globe.